Honda will be taking the wraps off this CRF250 Rally at this weekend’s Osaka motorcycle show – at this stage it’s only being billed as a concept bike but production looks certain. 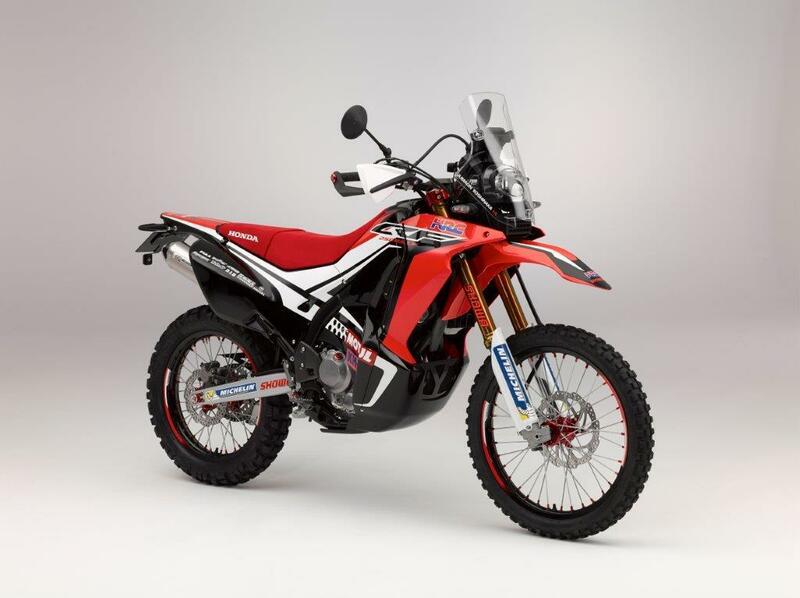 The CRF250 Rally is based on the existing CRF250L but has grafted on a host of parts from the competition CRF450 Rally bike which the firm competes in rally raid events. Honda has invested a huge amount of money into the rally raid effort and has spent more money on this side of competition than it has in World Superbike racing as the market for motocross and enduro bikes is so much bigger in the global context. 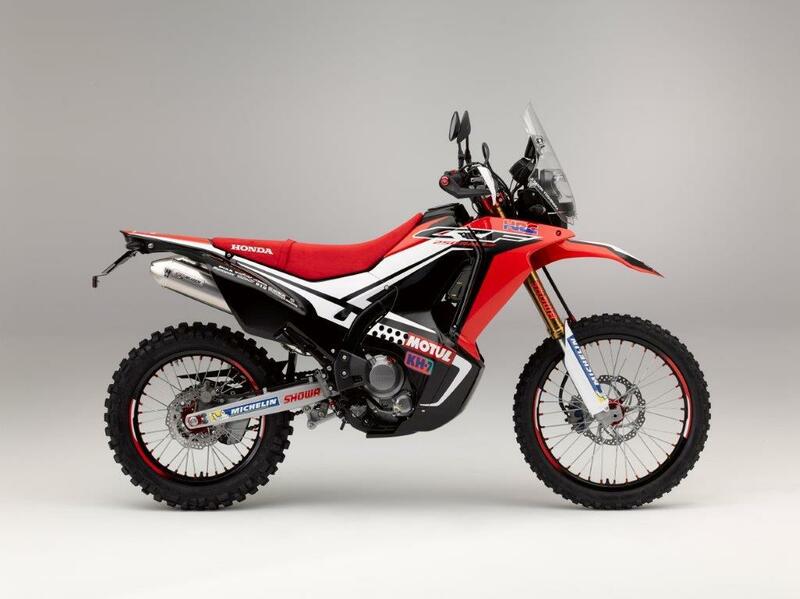 The CRF250 Rally has the same colourscheme at the CRF450 Rally and lifts the tall windscreen, twin LED headlights, gets a larger 10 litre fuel tank and a side fairing that almost completely encompasses the engine. It also gets larger diameter forks, Renthal handlebars and Mugen twin silencers. We are still waiting for the production version of the new Honda Africa Twin which was presented as the True Adventure concept bike at last year’s Milan motorcycle show. That 1000cc parallel-twin is running behind schedule and although Honda is yet to officially confirm the bike will be getting the go-ahead, MCN sources have told us we will be seeing the finished bike towards the end of 2015 and the two versions will go on sale almost immediately. 2010 Honda CRF250 first ride!